Last Friday Tajik Bartholomew competed at the UIL 5A Region IV Track Meet. He jumped very well, setting a personal record with a triple jump of 45’ 4.25,” and advancing to the Regional Finals. He held second place for quite some time, but ultimately finished fourth. Tajik will finish his career as the best Triple Jumper in Lanier history with back to back UIL District Championships, Area and Regional appearances, as well as the potential to Triple Jump in college. He is also a great kid and extremely hard worker, who will find success in whatever he pursues. Please congratulate him on a remarkable career. Yesterday at the UIL Area Track Meet, Triple Jump Technician Tajik Bartholomew once again proved he was a force to be reckoned with. After winning his second straight district championship two weeks ago, Tajik was determined to advance to the UIL Regional Meet for the second straight year. As has been proven over and over again, consuming the delicious, nutritious breakfast that is a (or multiple) Chick-Fil-A Chicken Biscuit(s) before the biggest moments in athletic competition is always the best option (some would say the only option). Filling up on this premium Viking fuel pushed Tajik farther than he has ever been, recording a personal best 44’6.75” triple jump mark en route to a second place finish, and a spot in next week’s Regional Meet. In the efforts to get Tajik to state, one can only wonder how many Chicken Biscuits in the Austin area will be left over for the general public. Please congratulate Tajik on his return to the UIL Regionals when you see him around school. 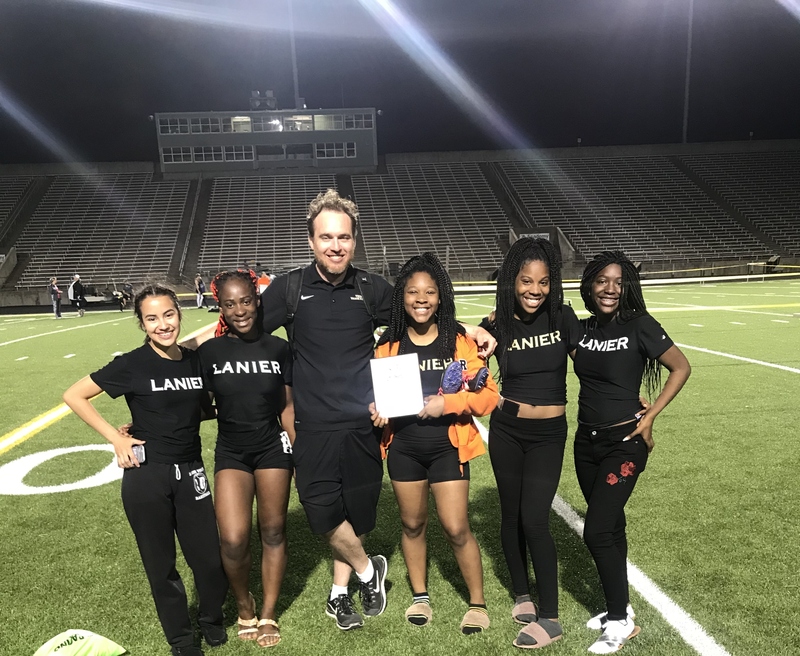 The Lady Viking Track Team competed at their district track meet last Wednesday and Thursday at Burger Stadium, bringing home a trophy at the JV level and sending several varsity competitors on to area. 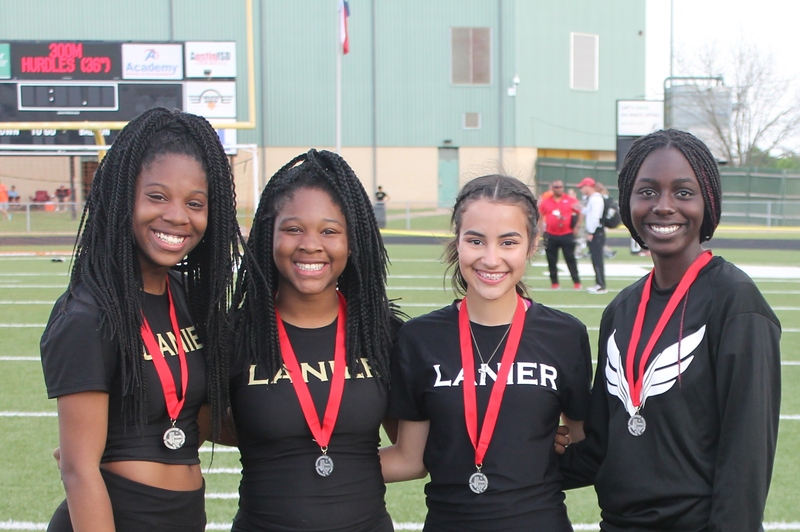 A core group of varsity athletes, made up of Atayvia Wardy, Ivrael Wardy, Giselle Ramirez, Evelyn Castro, Jasmine Riley and De’jha King, exhibited drive and excellence throughout the meet, proving that hard work leads to many gains. Each of these ladies will move on to the next round of competition in their various events and achieved fourth place overall in district. 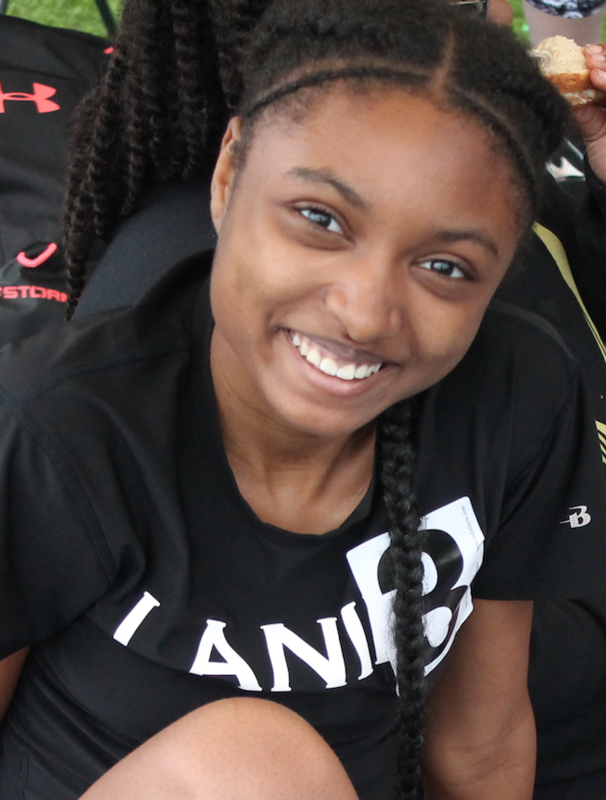 Ivrael Wardy’s name was chanted once again down the stretch as the night was capped off by Lanier’s 4x400m relay being just out-chased by LBJ to secure a 2nd place finish and area qualification. On the JV level, Coach Justin Beaman extended his era of excellence and hardware by bringing home a 2nd place finish overall. Numerous young women contributed to the plaque, and those who medaled are noted below. In addition, many JV girls did not medal but PRed with strong performances that contributed to the team atmosphere and success. We have had an excellent season and with few graduating seniors, we have a bright future ahead. As the track season is so taxing in terms of missing school, we cannot say thank you enough in terms of working with each of our young ladies to make sure they were supported in their academic endeavors and held to high standards off the track as well. We look forward to continuing on to the next level at the area meet at Burger Stadium on April 19th. Please congratulate these young women on their efforts and successes over the track season. The Lady Vikings Track Team had a late night but another strong showing at the Leander Glenn Grizzly Invitational yesterday, where they continued to best times and topple competition. If you want some excitement going into your Spring Break, please check out the last lap of the Varsity Girls 4x400m Relay HERE. All of the girls ran exceptionally well but Ivrael Wardy brought it home, making up a large gap in the last lap to guarantee gold for the Lady Vikings in the final event of the night. It is definitely worth a watch. Personal Best times from distance runners Mayra Figueroa, who hardily beat her previous PR in the mile and Jenny Aguilar, who was an amazing contributor to the 4x2 and 4x4 relays. · Ivrael Wardy taking home medals in every event- including individual medals for 3rd place in the open 400m and 5th place in the open 200m. · The Varsity 4x200m relay team of Jasmine Riley, Giselle Ramirez, A’tayvia Wardy and De’jha King taking home 5th place. 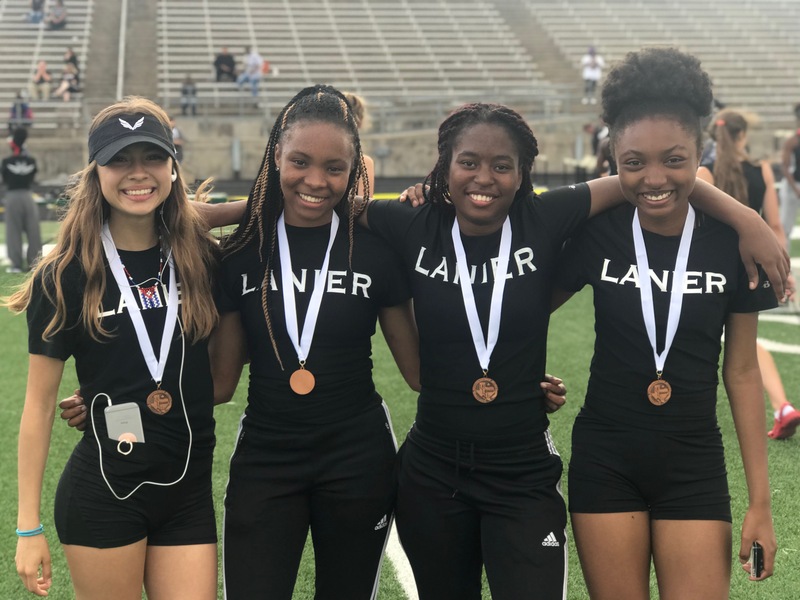 · The Varsity 4x400m relay team of A’tayvia Wardy, Giselle Ramirez, De’jha King and Ivrael Wardy taking home another strong 5th place finish- taking 10 seconds off their time from last week and posting the top 4x400m relay time in our district so far this year. · The JV 4x200m relay team of Tajahnique Gillespie, Lucky Pyne, Rut Valladares and Tajahnae Gillespie posting a varsity-level time to take home 2nd place. · Several individual PR’s in open events. Lady Viks Track & Field Kicks Off the Season with Success! The JV girls 4x200 relay of Tajahnique Gillespie, Rut Valladares, Tajahnae Gillespie and Lucky Pyne blowing away the competition for a dominating first place finish (even with slight wardrobe challenges). The Varsity 4x400m relay- made up of Jasmine Riley, Giselle Ramirez, Atayvia Wardy and Ivrael Wardy finishing in 5th place. Below is one of our favorite team photos from the weekend. Please feel free to check out the entire gallery from the meet at the athletics website here.